A classic crew neck jumper in green or navy with complimentary genuine Harris Tweed patches handwoven in the Outer Hebrides. 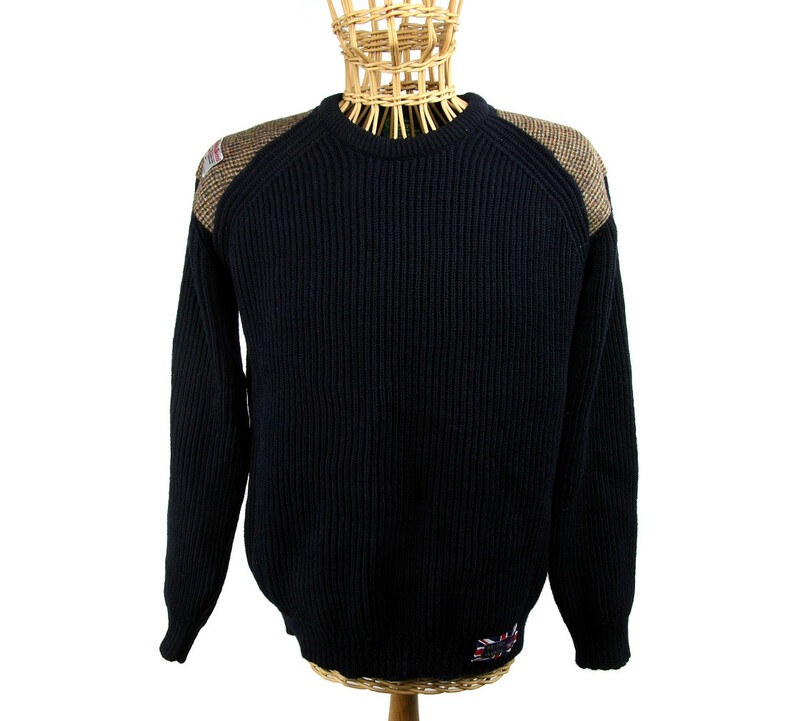 Made in the UK using 100% wool, British Wool, this chunky jumper is a perfect everyday item. Wear it for work, for walking or for Christmas best. Chunky enough to be warm but thin enough to fit comfortably under your overcoat. Fully fashioned and knitted in a simple vertical ridge pattern. Harris Tweed patch colour will change from manufacturing batch to batch depending on cloth availability.